Kale is a wonderful crop for the winter vegetable garden. The flavour and texture improves once the frosts have started in early winter releasing it’s sugars. 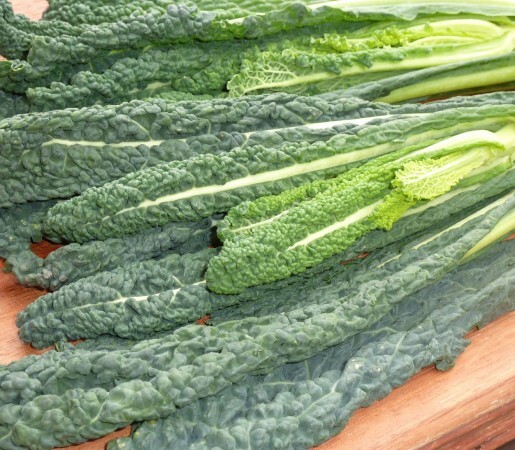 Kale is a fantastic winter ‘superfood’. Kale has upright smoky green-black leaves, crinkled and handsome like a tall Savoy cabbage. It’s very popular for autumn and winter cooking. Perfect, finely chopped topping for crostini, mixed with a few capers and green olives.